Everyone wants to earn an huge money from there blogs/website. Today's blogger are very much aware with all techniques related to blogging field. Today i am going to represent an post which consider with the URL shortening websites. Today i would like to share the top 10 websites related to url. 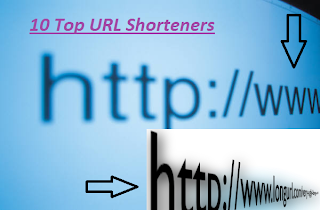 Generally we see that most sites or blog url names are so long which is difficult to remember, so try to give an short and attractive url name to your blog which is easy to remember and everyone can understood it. 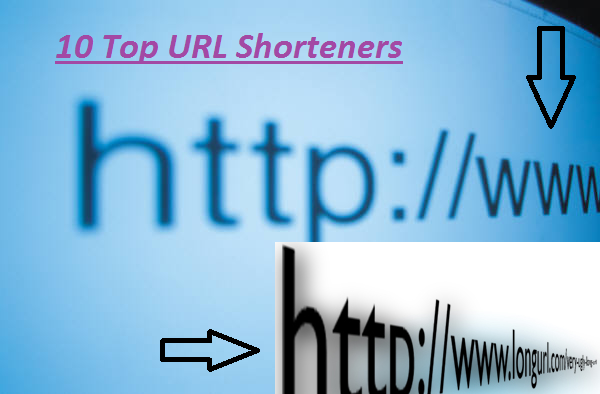 Below there is a comprehensive list of best URL shortening websites to deal with. Lets have a look! It will pay you $4 for 1000 visitors. You can earn 20% commission, $5 is minimum payout. Cash transaction are through paypal. It will pay you $6.50 for every thousand of visitors. Payment is done within 7 month. Cash is transfer through paypal. You can get 20% of the referrals earnings. You can get $3 to $6 for thousand visitors. It directly paid into your PayPal account. Goo.gl is URL shortening product from Google with link tracking and stats. URL Shortening services,with custom alias and Link Statistics. You can earn 4.50 for 2000 visitors to your links. Earn up to $4 per 1000 visitors. You can earn 5% of your referrals’ earning and $0.10 sign on bonus. Payment method is PayPal and minimum payout is $3. It pay you is customer buys something from your site. Main motive is to supply highlt quality softwares. Users can earn up to 90% of URLCash’s income. 35% earnings on your referrals. I've learn a few excellent stuff here. Definitely worth bookmarking for revisiting. I wonder how much effort you place to create one of these magnificent informative web site. thanks for your valuable comment, and keep visiting again. I've heard a lot of good thinks about adfly. I usually used linkbucks with a moderate degree of success. However, my as of now, my favorite link shortener has to be Cashfly. They seem to have the highest payouts.